Innovation through startups and new technology platforms is driving diversification at the same time. Billions of dollars are being spent in this process as brands and marketers finally utilize these capabilities to try and drive consumer experiences that are seamless and omnichannel. However, there is a fundamental element that has been missing from within this ecosystem: the “human,” “person” and “consumer.” They are clearly not at the center of a marketing technology ecosystem that has become increasingly channel-centric. 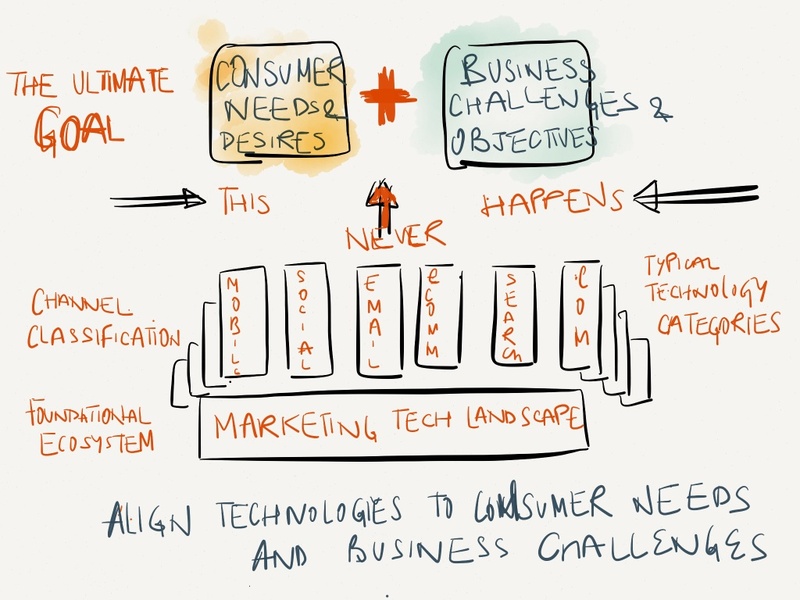 How many times have you started this journey by putting the consumer at the center vs. the technology or the channel? Are you really trying to change “consumer behavior” by simplifying lives using data and technology? Are you even thinking about it? Are you truly solving business challenges and objectives that prevent you from making money? Have you allowed “channels,” such as mobile, social, email or search, to drive your technology strategy in a syndrome I call “channel obsession?” Have you become too channel-focused? Are you really measuring the impact and ROI from these capabilities through the prism of consumer engagement and top-line business growth? It’s all about “mobile first.” We should have a mobile app and all our sites must be responsive. Why don’t we have a marketing automation platform? For all marketing investment, we need to be in the marketing cloud. Can we adopt one of those platforms? Don’t we need a big data platform and real-time analytics capability? Should we try a social marketing platform that allows content syndication across all social platforms, in addition to reuse, efficiency and scale? To be honest, it is easier to respond to these questions without applying the technologies to specific consumer behavior and needs that prevent your business from making money. But that’s a flawed approach that lacks the “human” element. We need an evolved methodology that is driven by the consumer and their needs, as well as by business challenges. 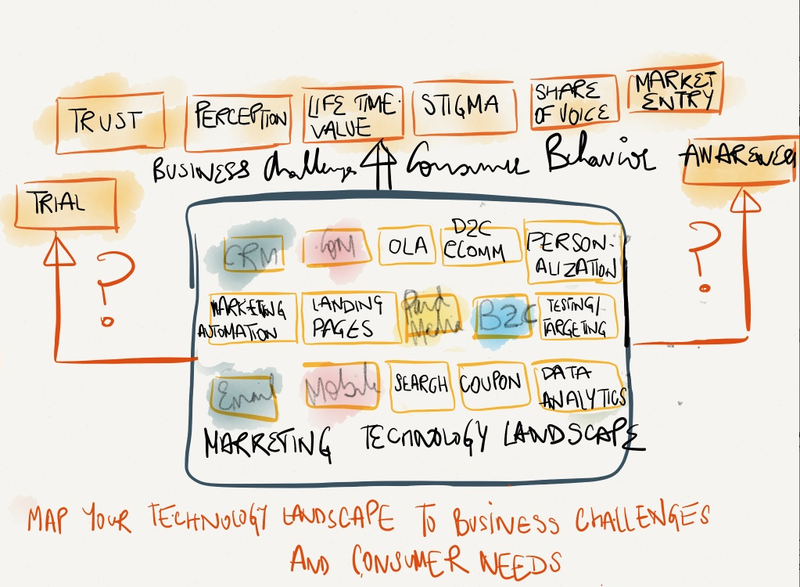 We must find the human within the marketing technology ecosystem. But how do we shift this entire marketing technology landscape on its axis to create a model that is led by the consumer at the center? I have a couple of simple answers. Connect your technology ideas and capabilities to business objectives and consumer needs. Create a story in plain English and use the art of storytelling for a story that starts with the consumer and the business and not with technology.